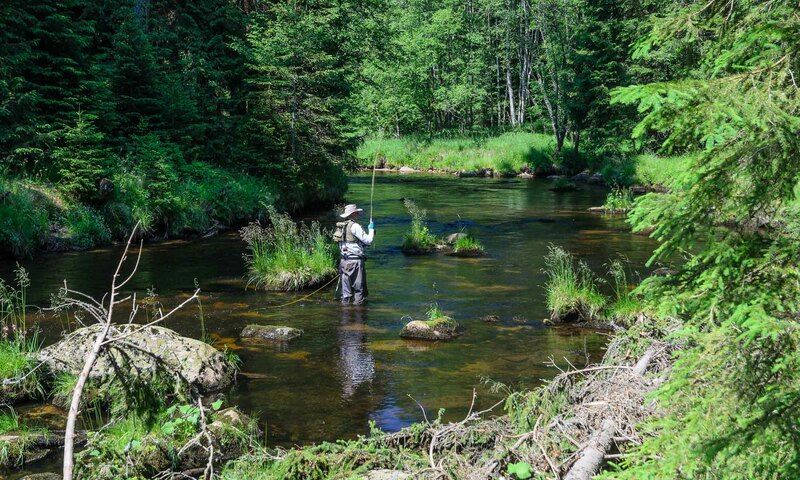 If you like to learn modern fly fishing nymphing methods, then this masterclass is for you. Czech nymphing, French nymphing, streamer fishing for trout, news of dry fly fishing. Theory, practice, fishing, tying succesfull flies. Fishing beautiful rivers Otava, Vltava, Volynka in the Czech Republic. Check our rivers and our customers experiences at www.goflyfish.cz and the latest testimonial at rgflyfishing.co.uk. Another date is possible. The locations and rivers are subject to change per fishing situation, water level conditions and interest of the participants. You can buy all all tackle in our fly shop. If you like to stay for a whole week, then the price for extended masterclass is 795 Euros. If you are interesting in the individual Masterclass, we will prepare taylored packet for you. We can also provide the masterclass in your home area, for your fly fishing club, etc. We already did the masterclass in Germany, Ireland, Poland, Portugal, Norway, Slovakia, Slovenia.